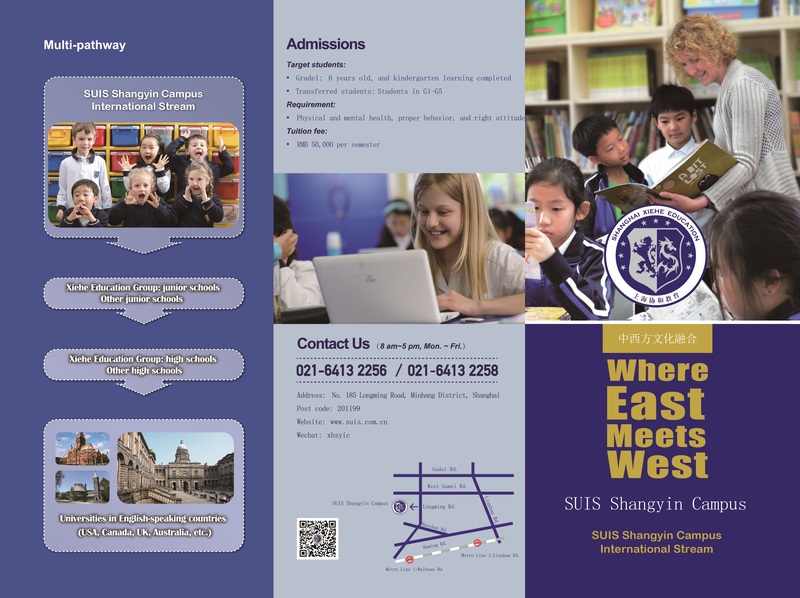 SUIS Shangyin Campus is one of the bilingual schools of Xiehe education, conveniently located in the south of Shanghai, and is a private full-time school fusing the Chinese and Western Education philosophy. We provide a high level of Integrated Primary Curriculum for 6-12 year-old children. 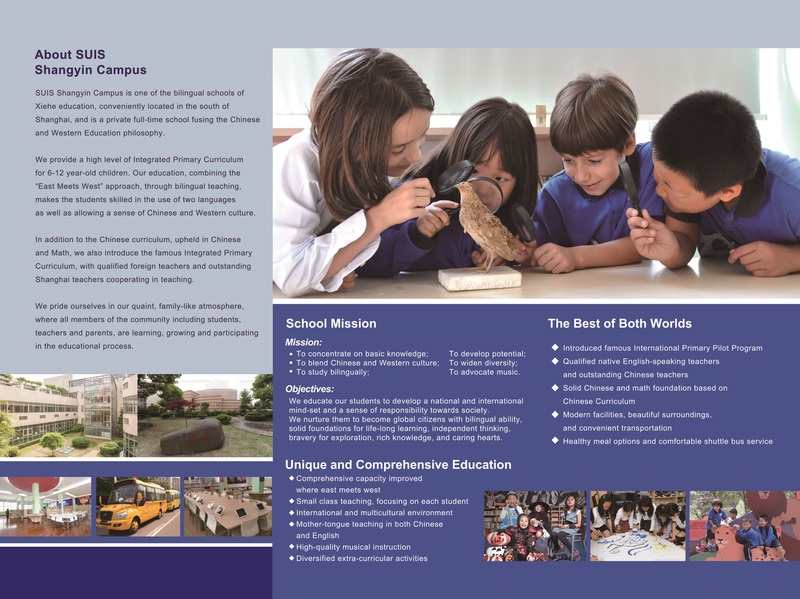 Our education, combining the “East Meets West” approach, through bilingual teaching, makes the students skilled in the use of two languages as well as allowing a sense of Chinese and Western culture. In addition to the Chinese curriculum, upheld in Chinese and Math, we also introduce the famous Integrated Primary Curriculum, with qualified foreign teachers and outstanding Shanghai teachers cooperating in teaching. We pride ourselves in our quaint, family-like atmosphere, where all members of the community including students, teachers and parents, are learning, growing and participating in the educational process. Mission: To concentrate on basic knowledge; To develop potential; To blend Chinese and Western culture; To widen diversity; To study bilingually; To advocate music. Objectives: We educate our students to develop a national and international mind-set and a sense of responsibility towards society. We nurture them to become global citizens with bilingual ability, solid foundations for life-long learning, independent thinking, bravery for exploration, rich knowledge, and caring hearts.